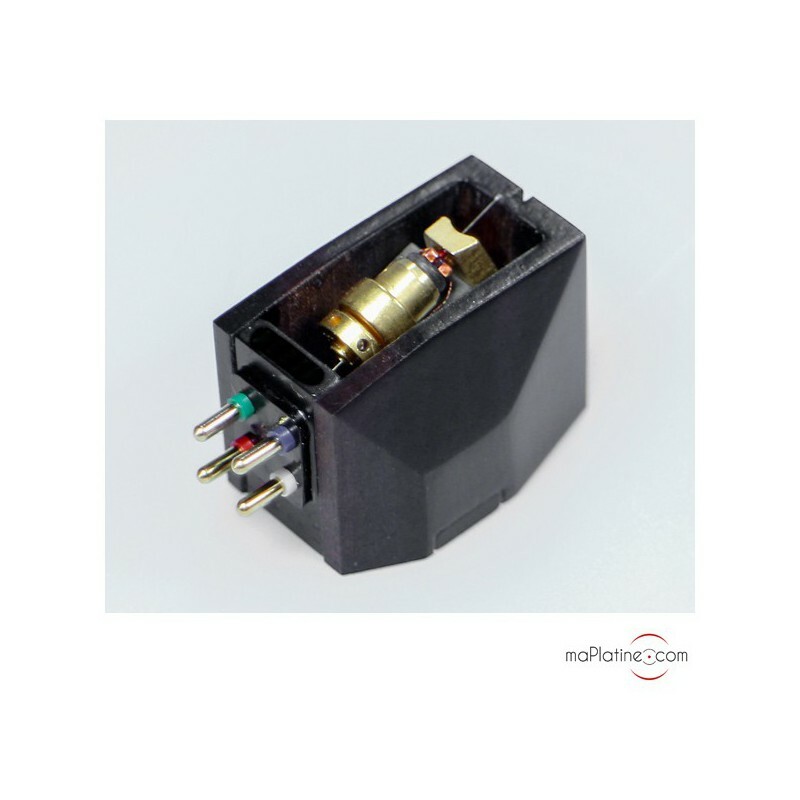 Low output moving coil cartridge. 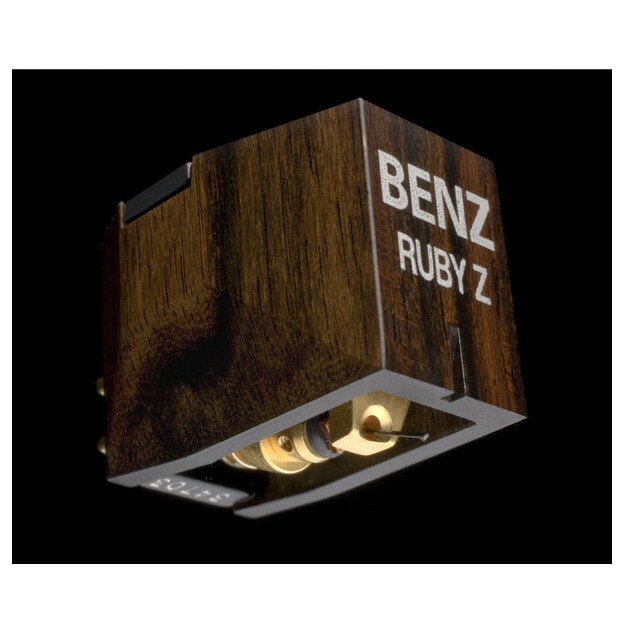 The new Benz Micro Ruby cartridge comes with the letter Z! It has nothing to do with mystery. It indicates that this new Ruby variant has been given a ‘Zebras Wood’ body. It clearly declares its allegiance to the Swiss manufacturer’s high-end model. It bears a strong resemblance to the brand’s ‘flagship vessel’, the famous Benz Micro LP cartridge! Only its silver print differs from the latter. As always, the product is crafted, assembled and tested meticulously in Benz Micro's new workshop in Switzerland, under the expert eyes and ears of Albert Lukaschek. 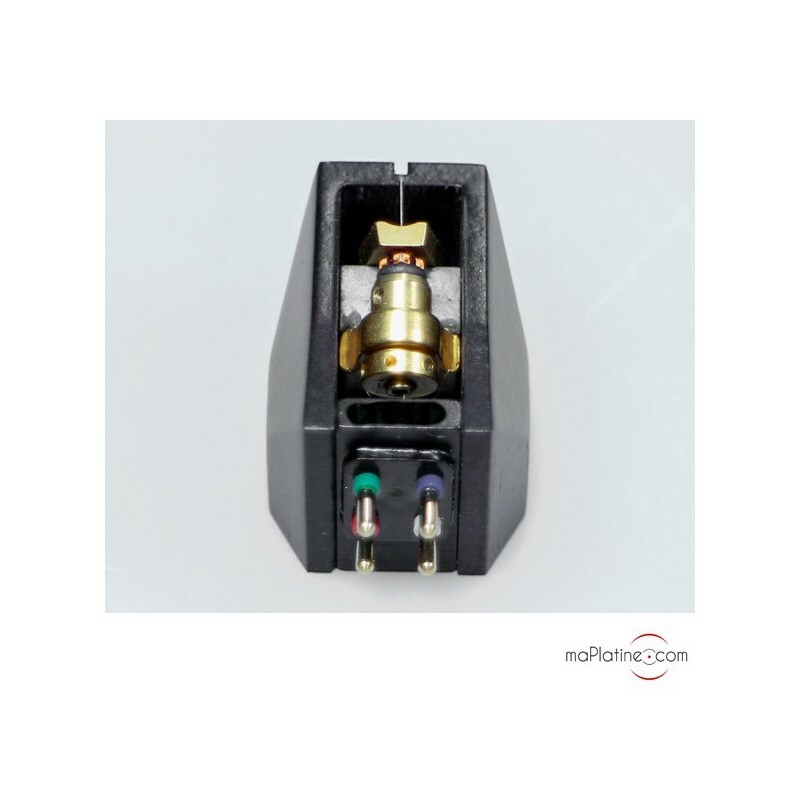 Its boron cantilever is adorned with a magnificent Micro Ridge profile stylus. 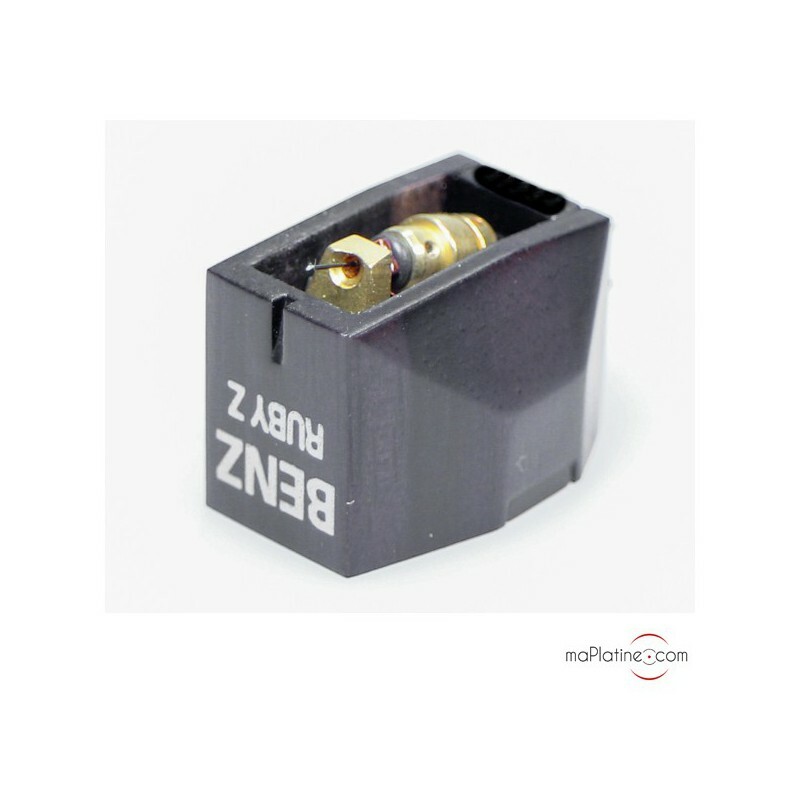 The Benz Micro Ruby Z phono cartridge is fitted with square plate generators combined with coils using a very pure copper conductor. A special o-ring seal, ideally designed to provide mechanical linearity and perfect elongation with the necessary precision to reproduce the subtleties without most of the colouration, holds the assembly together and serves as a damper. 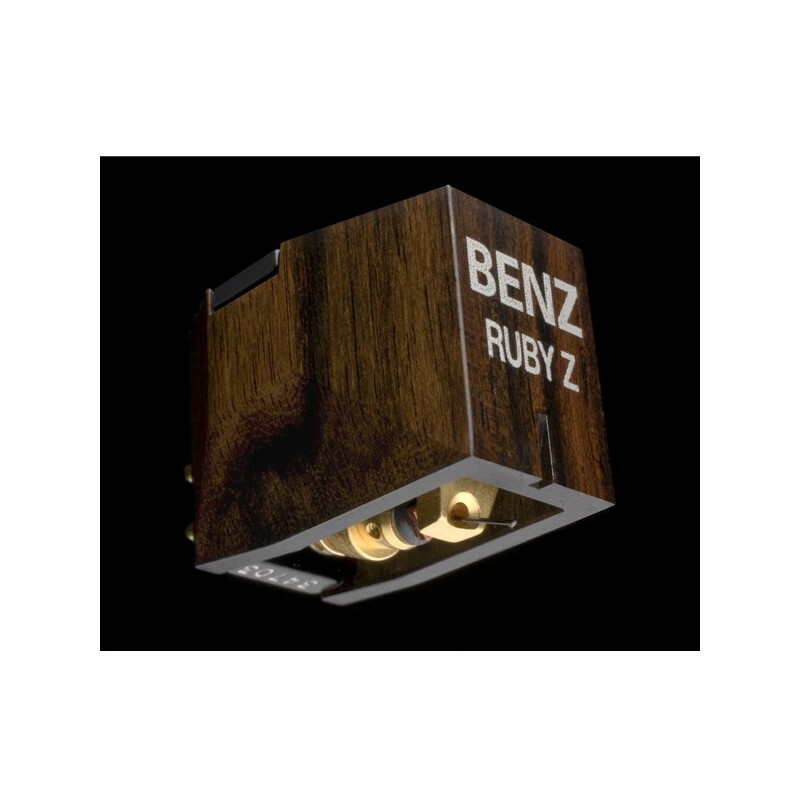 The Benz Micro Ruby Z Hi-Fi cartridge weighs 10.6 g and its compliance (15) makes it quite versatile with the majority of medium weight tonearms. Its 0.35 mV output level requires a phono preamp with 60 dB minimum gain, but most of all, with a musicality equal to this Benz Micro’s! After a recommended 40 hours break-in period... just relax and enjoy! 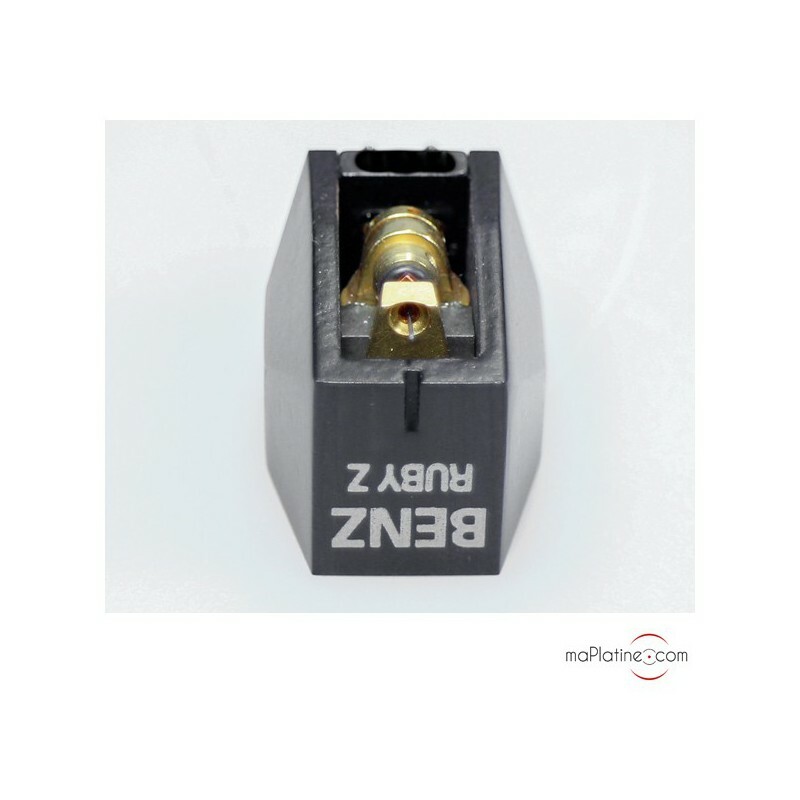 From the opening bars, it is clear that this Benz Micro Ruby Z Wood cartridge overtakes the older model as well as the Benz Micro REFERENCE S cartridge on all fronts. It displays a remarkable level of nuance and articulation. This cartridge does justice to the best recordings, but also manages to make the most out of average ones. The sound quality is punchy, vivid and very open. It gives off emotion and this little extra that makes the difference between a good cartridge and a great one! Even though this Benz Micro Ruby Z does not achieve the same amazing level of performance than the Benz Micro LP, it really comes close to it. It offers a rare musicality at this price range. It will please classical and jazz music fans alike with its timbre quality, transparency and nuance.